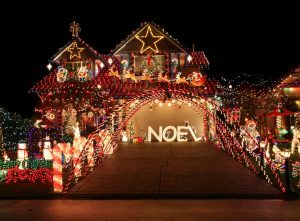 Decorate your home or business for the Holiday and you could WIN!!! Registration will begin December 3, 2016 and the deadline to enter will be December 12, 2016. The winner’s will be notified on December 19, 2016. Come and join the Chamber’s Christmas Land Festivities; which will be December 16, 17 and 18th, from 6pm till 9pm at the entrance to the Crestwood Addition. Entry forms can be picked up at One Stop, Boots, Beer and Bait, The Cafe and Brushy Landing and from any of our Chamber Members. You can also call Donald Currier at 903-984-6500, Vickie Rhodes 765-618-3187 or Penny Woods at 9O3-241-4737. Or Download and Print one here.